Avichi Meiyappa Chettiar is remembered today ! 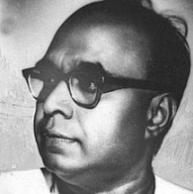 Avichi Meiyappa Chettiar is not a name to remember, it is a legacy to be vouched upon. From humble beginnings of selling gramophones to a start-up film production company, AVM wasn't just a name of a production company, it was a string of three letters put together, that non-plagiarized the act of making films. Hailing from the glorified village Karaikudi, Chettiar made 167 films when he reached the holy abode. AVM Productions, is the only company in Kollywood to have produced films for over three generations. AVM revolutionized the habitual instinct of producing films, which are still considered the mantras to run a reasonable production company. AVM rewrote the way people considered films and brought tons of audience to get entertained. From identifying the potential in a tender Kamal Hassan to casting him in one of their films, AVM is a highly respected banner that has made commercial blockbusters which includes a list of silver-jubilees with Rajinikanth and also movies with content. Today, is the day, the whole fraternity will take the time to remember a legend who formalized cinema, catering to a wider audience. August 12th, 1979, was the day when AVM passed away. Behindwoods takes this time to pay huge respects to the man of trust and quality. A.R.Rahman goes international again ! What Has Karunakaran To Say About Rajinikanth? People looking for online information on Kamal Haasan, Avichi Meiyappa Chettiar, AVM, AVM productions, Rajinikanth will find this news story useful.